I would never classify myself as a modern art kind of girl. I'm much more into traditional forms of artwork. telling you that it is indeed supposed to be a horse. But this weekend, I may have formed a new appreciation for it. 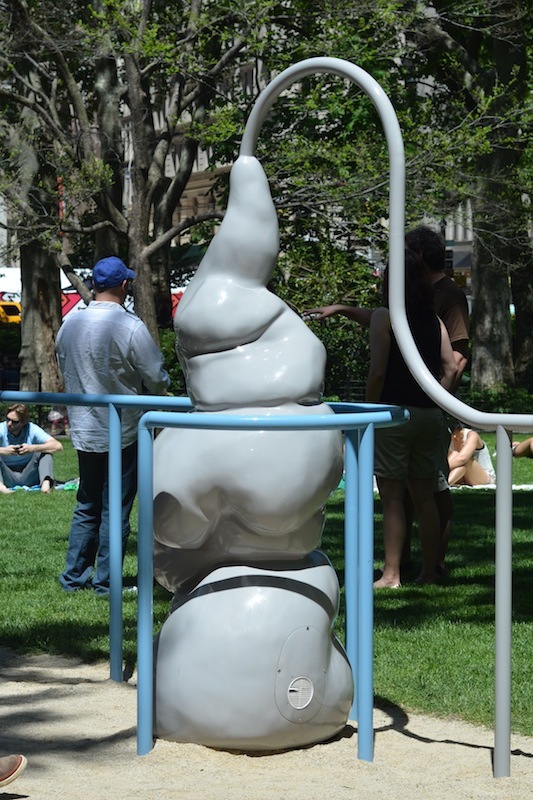 the first of which was a new sculpture installation in Madison Square Park. It was called "Pet Sounds" by artist Charles Long. a central area where all of the sculptures sat connected to their pipe. it would make contradictory sounds and/or vibrations. Dee and what I thought was meant to be a bird, but instead it made cricket noises. I thought this resembled a whale was was surprised to find that it did make ocean sounds. Definitely thought of this one as an elephant. if you touched the bottom it sang. 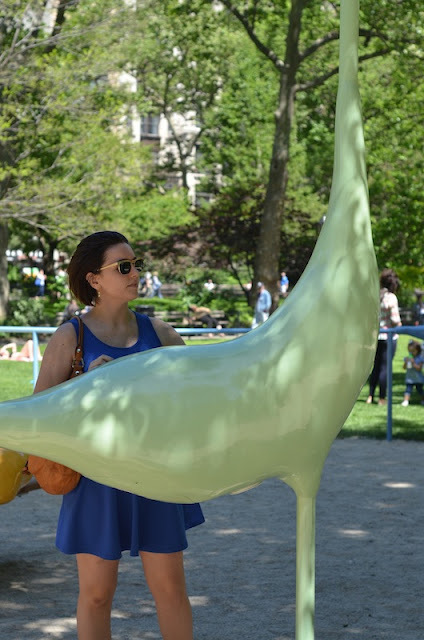 There were a lot of kids at the park, and they all seemed to love the sculptures. And the strangest thing was that I really liked them too. It was interesting to first look at them and make all the wrong assumptions. occasionally people would look to the sky, forgetting it was just a sculpture. Beautiful art. Love the Elephant one also. i've never really been into modern art, these look pretty cool though!! !